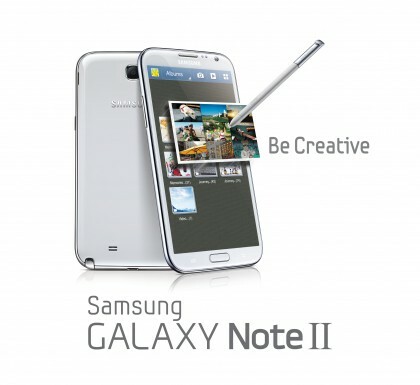 It’s no secret that all five major U.S. wireless carriers will be getting Samsung’s Galaxy Note II, but they’ve mostly tended to dance around the issue of firm release dates or price points. Well, that’s not the case anymore as Sprint finally has an official launch date on the books: Samsung’s latest phablet will hit the carrier’s sales channels on October 25, complete with a $299 price tag. Sure, U.S. Cellular was the first out of the gate to talk up the device’s $299 on-contract price tag, but the carrier offered little other info on availability other than a “late October” launch window. Now that we can cross Sprint off the list, all eyes are now on Verizon, AT&T, and T-Mobile to make their own announcements (Samsung has a launch event planned for the 24th, after all). Just about all of the Galaxy Note II’s particulars have been extensively documented — as you may recall, the international version was showed off this past August at IFA in Berlin — but here’s a super-quick recap just to jog your memory. The phablet sports a 1.6GHz Exynos quad-core processor, 2GB of RAM, an 8-megapixel rear camera, and (of course) an updated S-Pen. It sports a slightly taller 5.5-inch Super AMOLED display to boot, though Samsung managed to shave a few millimeters off its waistline to keep things as handy as possible. Sprint will carry both the white and gray variants of the Note II, and it thankfully plays nice with Sprint’s LTE network (assuming you can actually get on it, that is).